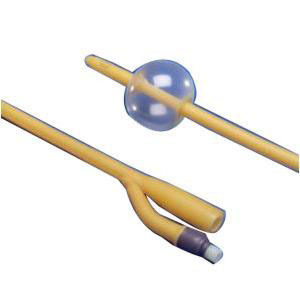 Kendall KenGuard Silicone Coated Latex Foley Catheter is two-way with a standard, straight tip. The KenGurad silicone coating provides a smooth, exterior catheter shaft which helps to facilitate ease of catheter insertion. Provides a smooth coating on shaft to ease insertion. Large, smooth drain eyes facilitates maximum drainage.